Calgary is full of fun bars, cool cafés, and awesome board game joints that host the occasional video game tournament for their customers — but imagine a coffee shop that had Nintendo’s greatest hits available at all hours of operation? Can you tell which Canadian city these snowy photos were taken in? That’s exactly what will be on offer when Super Smash Café opens its doors, as the coffee spot will be completely decked out in retro gaming consoles, huge TVs, and nostalgic feels. According to the café’s Instagram account — which was first created on December 16, 2018 — the café aims to be a place where people can unwind, enjoy a hot cup of tea or coffee, and show of their video game skills across a wide selection of consoles. As the name suggests, the café will cater to those hoping for some competition in Super Smash Bros — be it a classic bout in Melee, an all out Brawl, or the Ultimate showdown. A date for the opening hasn’t quite been nailed down yet, though an Instagram Story from one week ago shows the owners tearing down the walls of the soon-to-be-café and renovating the space — so we’re (optimistically) thinking it will be sometime soon. 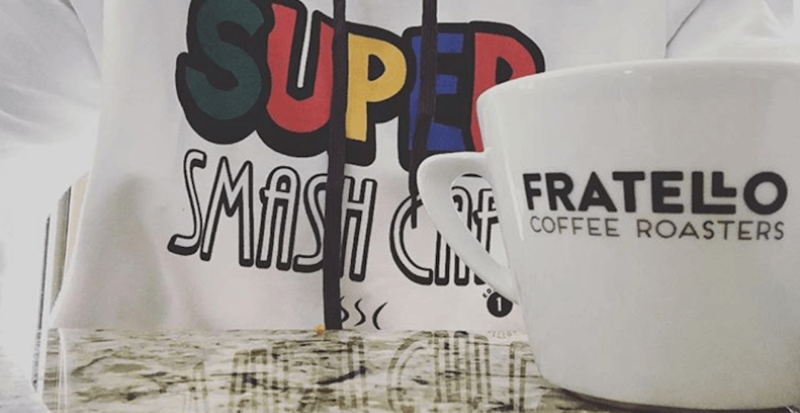 Expect to find Super Smash Café at 1240 16th Avenue NW near SAIT. Daily Hive is the evolution of Calgary Buzz.